Equinox Publishing Ltd., Office 415, The Workstation, 15 Paternoster Row, Sheffield, S1 2BX or Fax: +44 (0) 114 279 6522. Please note that as part of our Order Policy, it is understood that the customer has read, understood and agreed to all Equinox Terms and Conditions prior to ordering from us. We offer 4 subject packages and a complete package and offer individual libraries and consortia the option designing aa 'bespoke'electronic package at a deep discount. 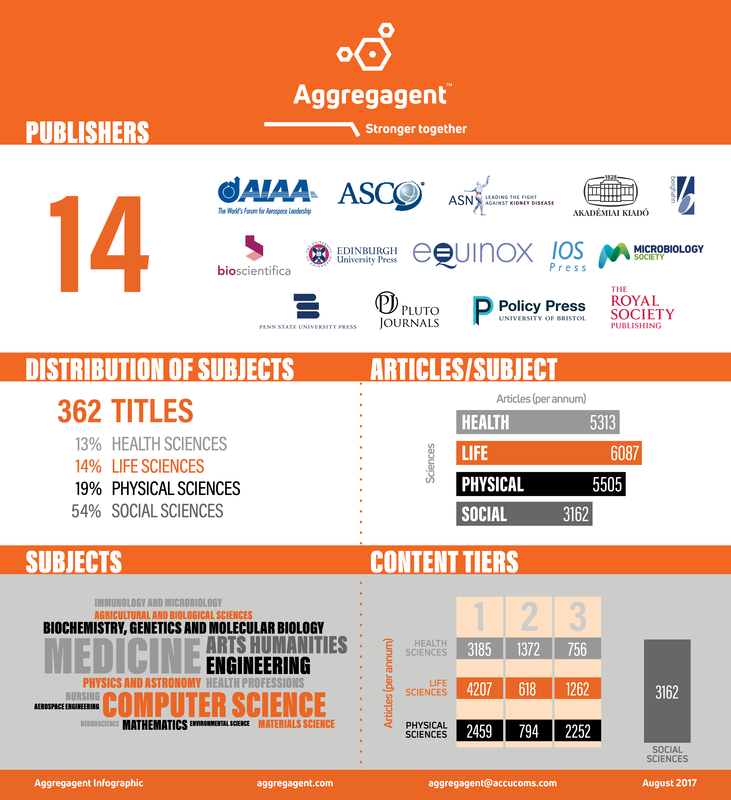 Learn more about own package offers here or explore the multi-publisher offering, 'the Aggregagent', described below. Equinox journals are part of Aggregagent, a partnership between multiple independent and not-for-profit publishers and ACCUCOMS to offer subject-specific collections including titles from multiple publishers. Click here for more information and available collections. Equinox Publishing provides COUNTER-compliant usage reports for registered library account administrators. You can check your usage statistics at any time once your account has been setup. Breakdown per month of the most viewed articles. Sign in with your username and password and go to My Account. If you do not have a username and password for your institution please contact us for login details. If you have been allocated administrative rights for your institution you will now see "Viewing Statistics (COUNTER) under the My Account options. If you do not see this option please contact us. Click on the link and you will be presented with a year/month breakdown of all journals and the number of articles viewed. Further information information about which articles have been viewed can then be obtained by clinking on individual month values. Commencing with the 2013 volume (volume 26), Australian Religion Studies Review ISSN: 1031-2943 (print), ISSN: 1744-9014 (online) changed its title to Journal for the Academic Study of Religion ISSN: 2047-704X (print), ISSN:2047-7058 (online). All Equinox journals are available online (as enhanced PDFs) as well as in print. Click Equinox Journals kbart spreadsheet to view the online start issues of each journal. Institutions may chose Print & Online or Online Only. Access is via the Equinox site. Some journals are also available through EBSCO, or JSTOR (Calico Journal only). The Equinox site is accessed via IP validation or Shibboleth/SAML single sign on. Print & Online and Online Only subscribers have access to all available content including any new back content that is added. Permanent Archival access in the case of cancellation (or other outcome) is provided by Portico. Please contact Journals Department, Equinox Publishing Ltd, 415 The Workstation, 15 Paternoster Row, Sheffield S1 2BX or via email to journals@equinoxpub.com. Payment should be made out to Equinox Publishing Ltd. You may also subscribe online or order a free sample copy through the Equinox site. Equinox can now provide online access to its content via a single sign-on solution. This will allow off-campus access and will negate the need to keep your IP list up-to-update. As a service provider that is part of the UK Access Management Federation for Education and Research group, access can be obtained to all journal online content via providers such as Athens, Eduserv and institutional IP systems which integrate into the UK Fed via Shibboleth / SAML2. In addition all full text access is accounted for in the normal way using the COUNTER scheme. Contact Yvonne Nazareth with any journal customer service questions. register to enjoy free-online access to the first issues of all our new journals.